367,359 individuals have conducted preliminary screenings. 43,237 new accounts have been created. 69,703 new applications have been submitted. 55,855 individuals have enrolled in Medicaid coverage. 75,760 individuals have renewed their enrollment in a qualified health plan. 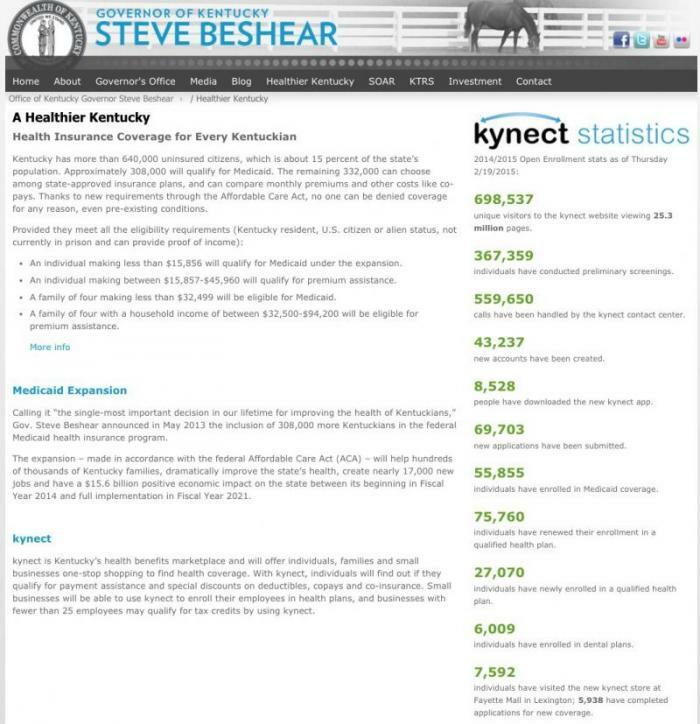 27,070 individuals have newly enrolled in a qualified health plan. 7,592 individuals have visited the new kynect store at Fayette Mall in Lexington, 5,938 have completed applications for new coverage. Obviously outdated (it hasn't been updated since the end of the 2015 open enrollment period), but pretty comprehensive. Yup. Zilch. Nada. Goose Egg. 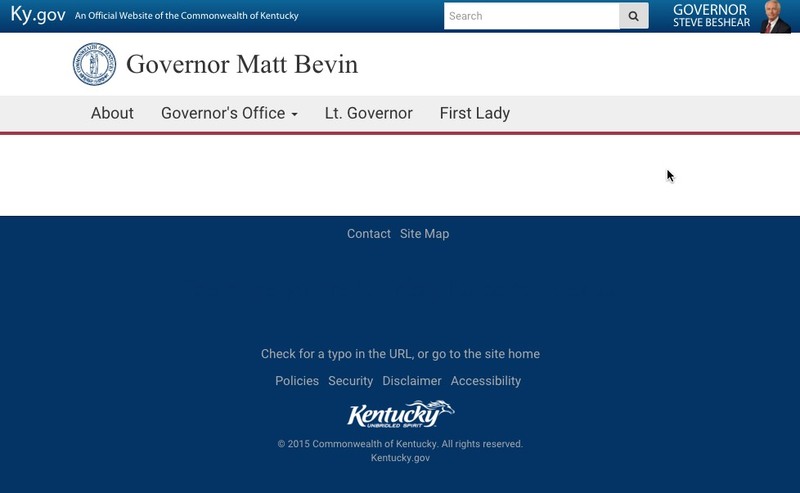 (amusingly, Steve Beshear's name and photo are still in the upper-right corner, however). I noted over the weekend that DC, Idaho, Kentucky, New York and Vermont have all been radio silent so far for the 2016 enrollment period. I've since confirmed that Idaho, at least, does plan on releasing their data to date later this week at their monthly board meeting (after the 12/15 deadline has passed), but that's about it. As for Kentucky, when I asked what the deal was, I was given the following link...to fill out a paper "Open Records Request to Inspect Public Records" form. Which you have to pay for. Kentucky just had a recent change in Governor and the transition teams are currently working to review all of the programs. Yeah, I wouldn't expect a whole lot of solid data out of the Bluegrass State anytime soon.